The English language weekly has so far put forth a sterling performance, withstanding the challenges in Cameroon’s media landscape. NewsWatch newspaper is five years old this year. Born out of intrinsic passion for journalism in 2013, the English language weekly is run by media professionals with a wealth of experience of issues that face a busy newsroom. Focusing on news, lifestyle, people and sports, the tabloid has as mission to provide the general public with information they need in order to be free and self-governing in a democratic society and enterprising economy. 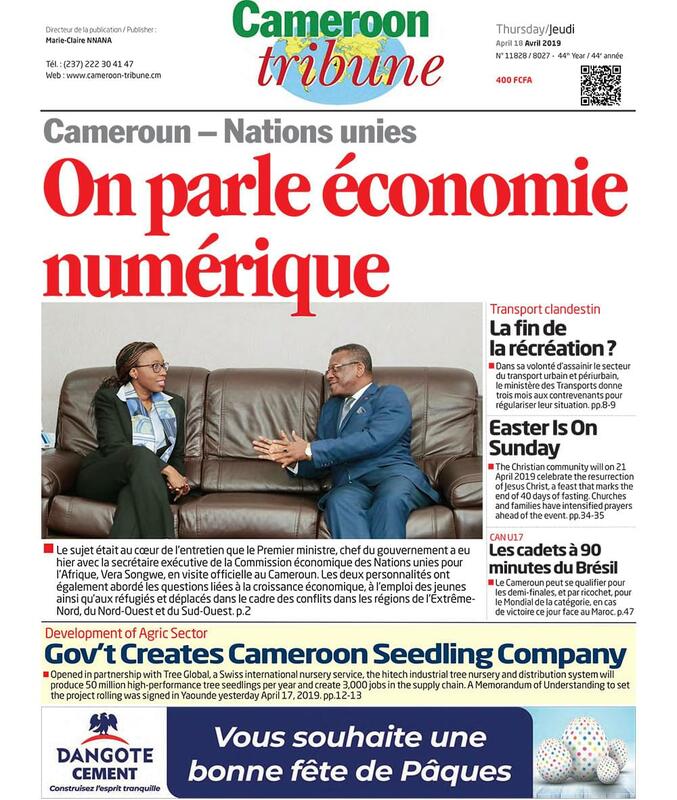 Over the years, the NewsWatch editorial team has been craving to cater for the dire need of people to get relevant news in Cameroon and eventually across the Central African sub-region. “At NewsWatch, we aim to go beyond merely reporting hard news stories; important as those may be. We aim for much more. With our emphasis on lifestyle, we hope to bring a little colour to people’s lives; our comprehensive society pages guarantee that NewsWatch would be a reflection of the life of the ordinary workaday Cameroonian,” says Ndi Eugene Ndi, Publisher/Editor-in-Chief of NewsWatch. The award-winning journalist is confident that the newspaper’s all-inclusive sports coverage ensures that all and sundry, however varied their interests and tastes, identify their stakes in the newspaper. It should be noted the Publisher of NewsWatch, Ndi Eugene Ndi, is an investigative journalist with close to a decade experience in print and online reporting. Before starting NewsWatch in 2013, he worked with the radio of the Advanced School of Mass Communication (ASMAC) Yaounde - Campus FM, The Vanguard newspaper, The Median newspaper, among others.